Arrival in Nueva Ecija, nestled in the middle of Luzon, is a somewhat refreshing experience. 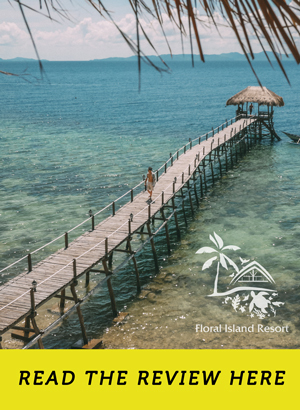 Laid-back cities, quieter streets, foliage, and seemingly endless rice fields greet you in the Rice Bowl of the Philippines, and with the promise of a good reconnecting session with nature, it’s easy to let go and relax. 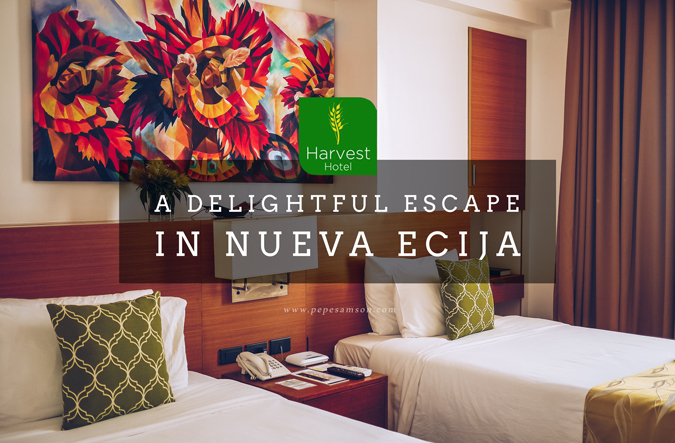 Standing amidst the greenery in a 4-star hotel offering modern comforts combined with a charming provincial escape—The Harvest Hotel, our home for 2 days when we explored Nueva Ecija. 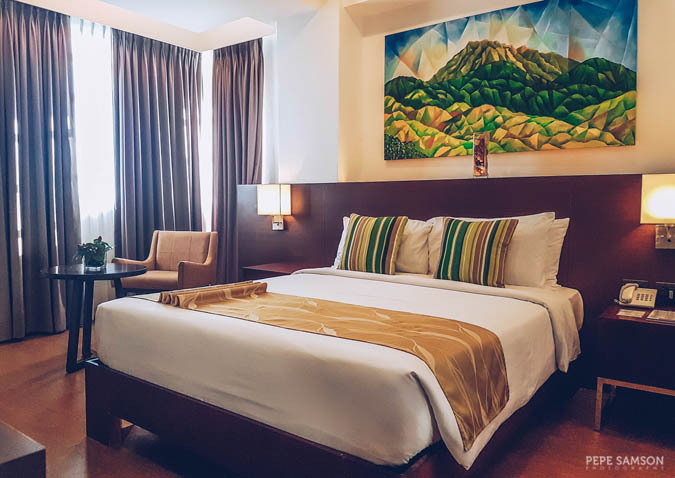 Popular among business travelers and excursionists stopping over for a day or two, The Harvest Hotel is an HII-managed property (Picasso Boutique Serviced Residences) with 81 guestrooms. 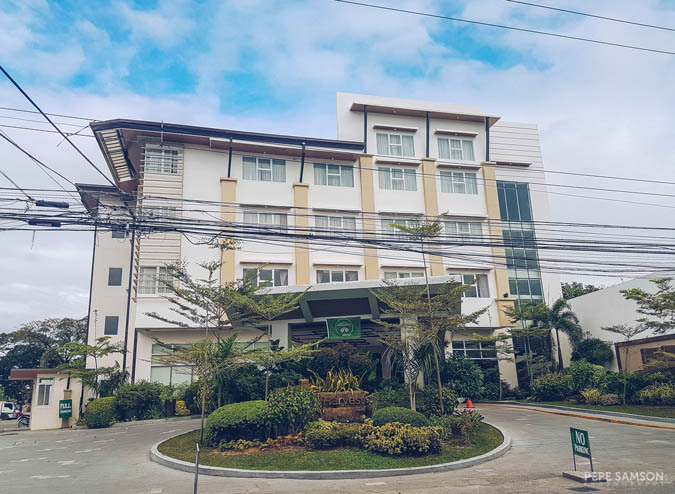 Situated in Cabanatuan City, the hotel is near transport hubs, shopping centers, and restaurants—and is about 1.5 hours away from the now-famous Minalungao National Park. 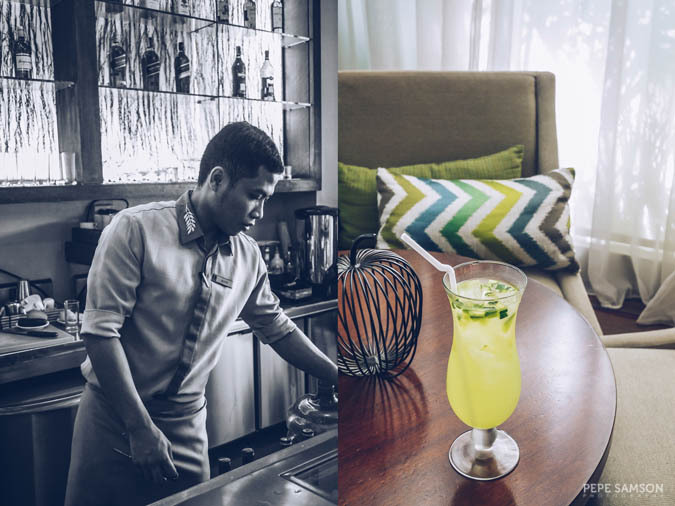 So whether you’re here for official business or to do some side trips, The Harvest is an ideal place to stay in—aside from the hotel’s own merits, of course. Allow me to tour you around the property through the full review that follows. We had lunch at SM Cabanatuan, and from there, we headed to The Harvest via tricycle—travel time is 10 minutes. We were greeted by a simple yet elegant façade that seems to stand out among the row of shops, homes, and eateries in Del Pilar Street. Upon entry, we proceeded to the front desk where our reservations were processed. 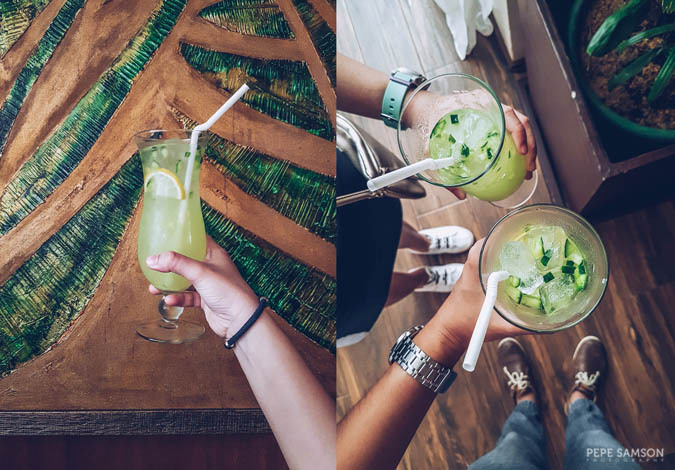 While waiting for our key cards, we stayed in their spacious and stylish lobby lounge, where we were served welcome refreshments: cucumber lemonade, one of my favorite drinks ever. So far, so good! 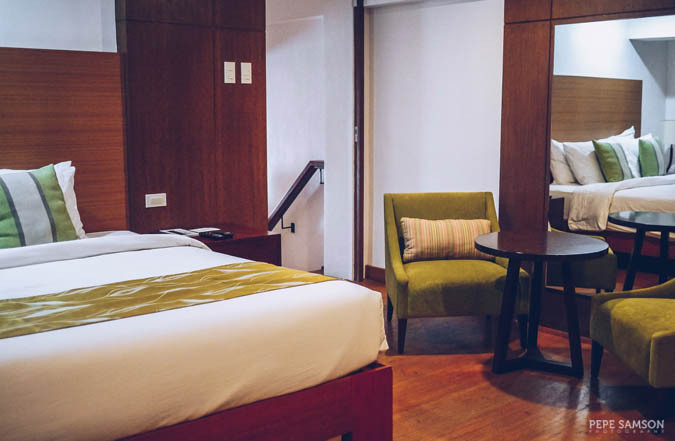 Click here to find the BEST room rates at The Harvest Hotel. 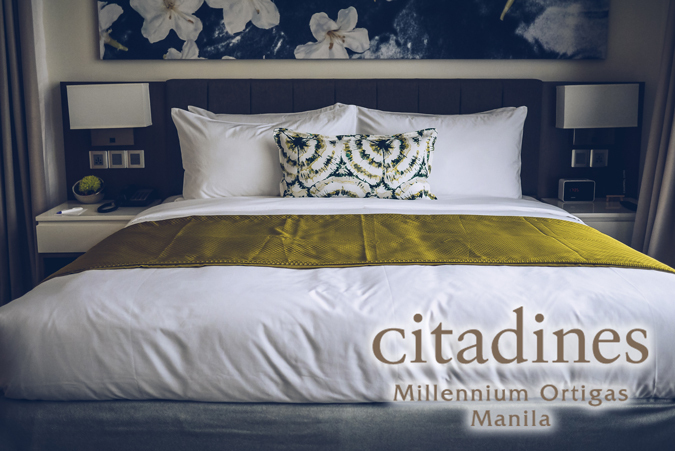 Our room, a Standard Twin Room (book here), granted generous floor areas, relaxing sleeping spaces, and a cheery Filipino vibe. The beds, sheets, and pillows were very soft and comfortable—a delight to snuggle on after a long day of sightseeing. 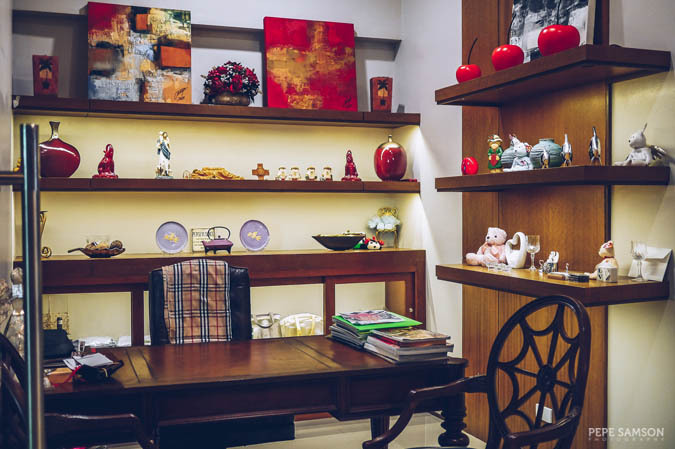 I think the local elements—such as the color scheme itself and the paintings depicting Philippine festivals, landscapes, and traditions—added to the homey feeling of the room. At 29 sqm., it provides enough space for 2 guests to walk around and store luggage. 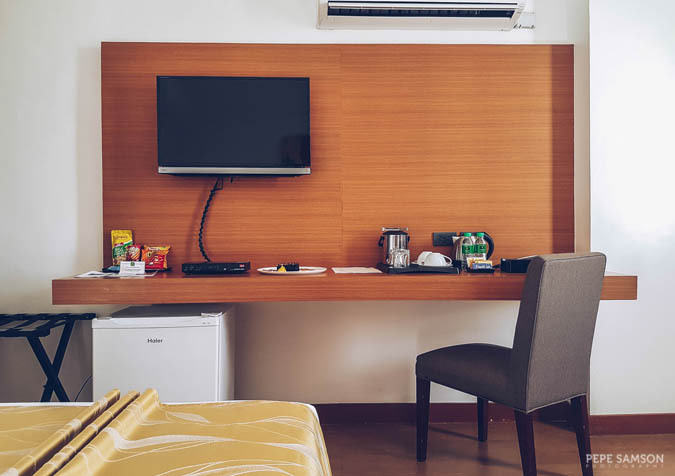 Along one wall, facing the bed, is a nook with an LCD television with local and international channels; a workstation; a mini bar; and tea and coffee making facilities. Right beside it is the wardrobe. 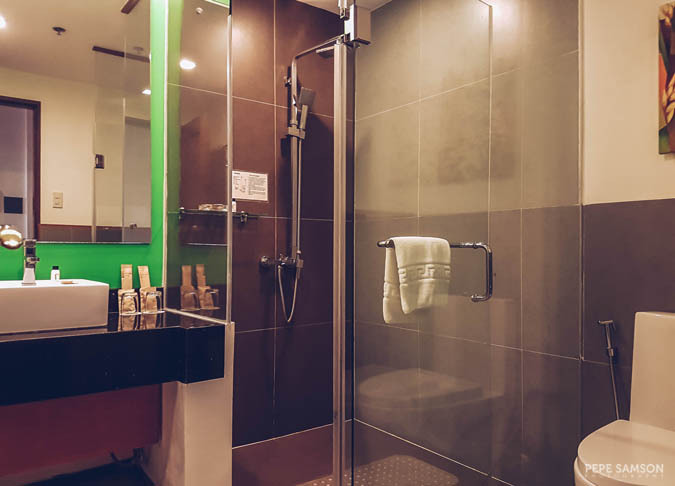 The bathroom is of just the right size for 2 people—with a walk-in shower area installed with rain and handheld showers, a toilet with bidet, and a vanity area supplied with fresh towels and Harvest toiletries. 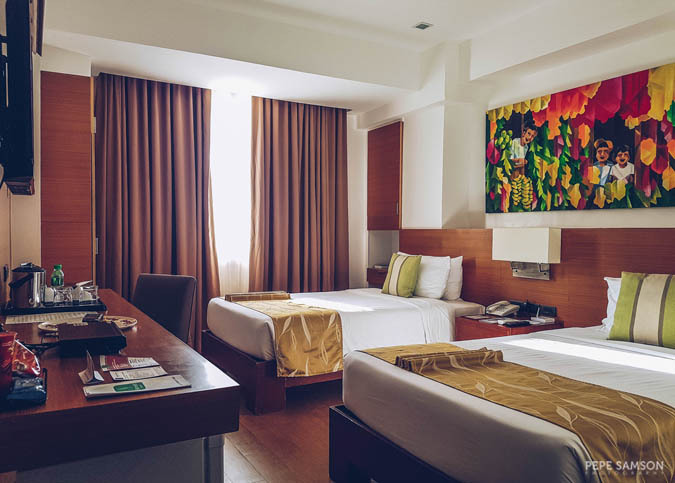 Wi-Fi is fast and reliable inside the room, so there’s no need to get out or hang out in the lobby or something in case you need to get some work done. 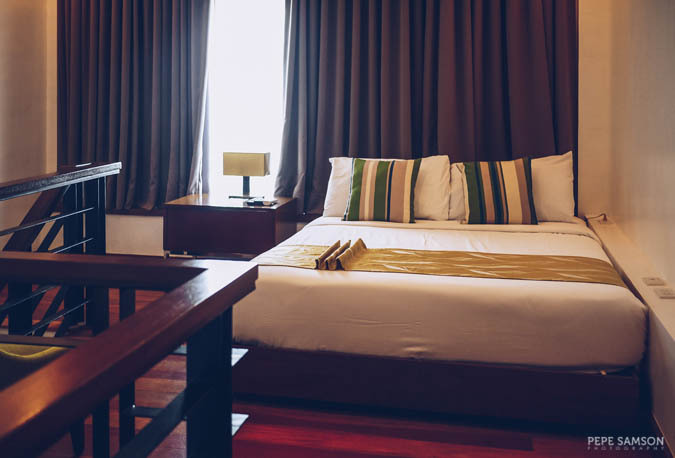 There are also Standard Queen Rooms with exactly the same features, except that they have Queen beds instead of two single ones—more suitable for couples. For long staying guests or for families, the Loft Suites are most recommended. In particular, Loft Suite 2 has a living area, 2 bathrooms, and 2 bedrooms distributed in three floors. 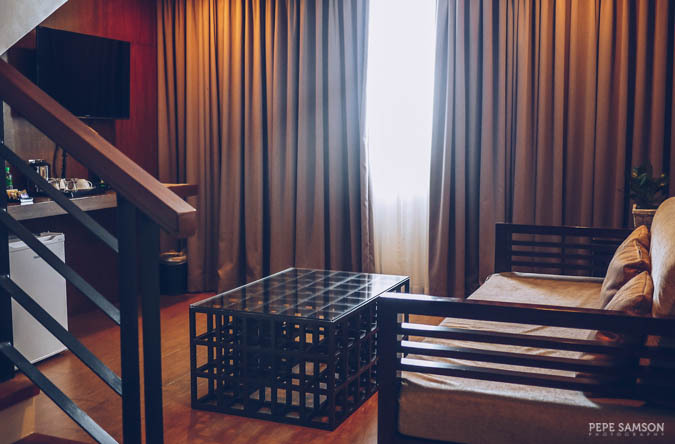 The space on the 2nd level has a Queen bed, while the one on the 3rd level is equipped with a King bed. 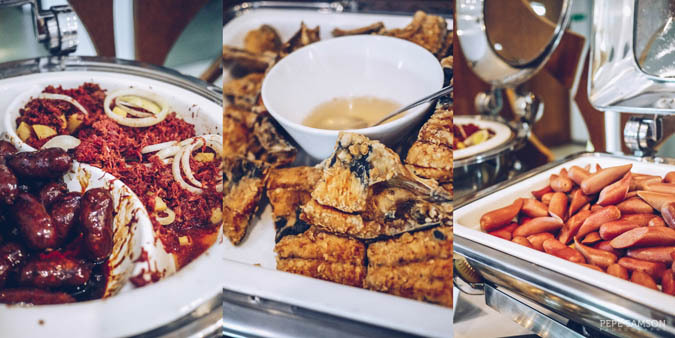 When in Cabanatuan, imbibe the local flavors and indulge in native specialties. 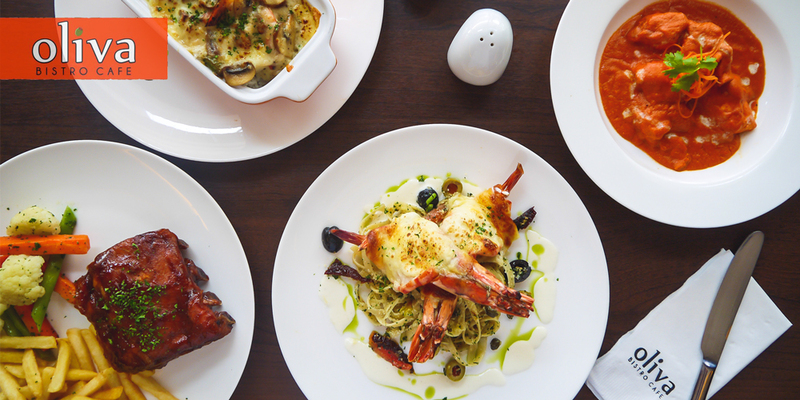 The Harvest Hotel’s in-house restaurant, Café Ecija, is the best venue for that. 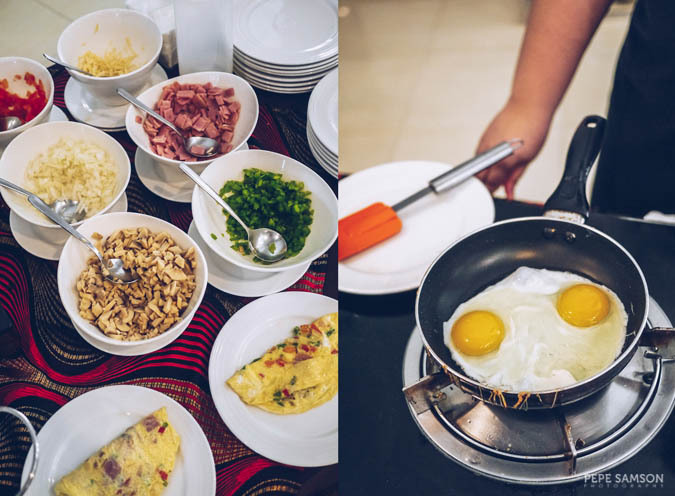 Serving buffet breakfast as well as an extensive a la carte menu, the restaurant showcases delicious Filipino dishes along with a small selection of international picks. 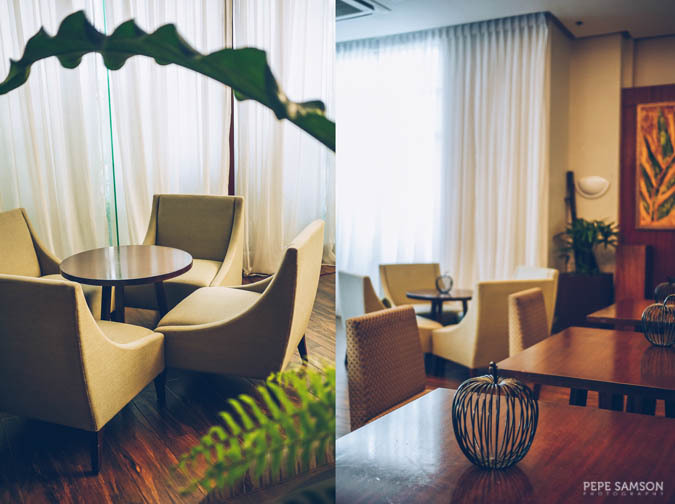 This dining venue is set in a rice field themed atmosphere—with neutrals and different shades of green dominating the space as well as elements representative of the province’s main produce. I loved how relaxing the interiors are, which kind of make you feel like you were dining "outdoors" instead of inside a hotel. 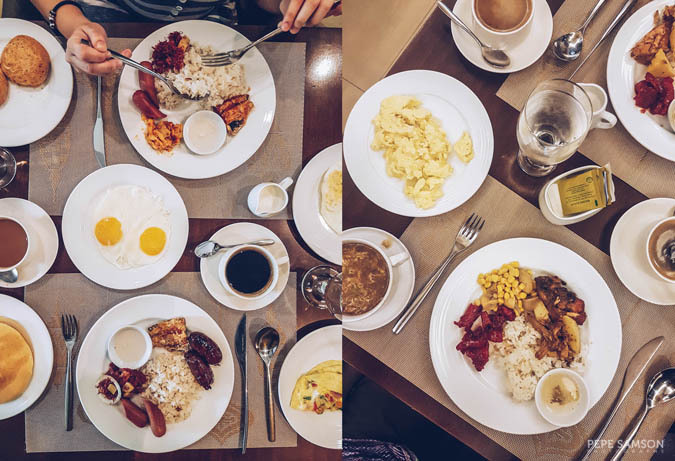 And if Nueva Ecija is a humble and good province, The Harvest Hotel’s breakfast options also reflect that. 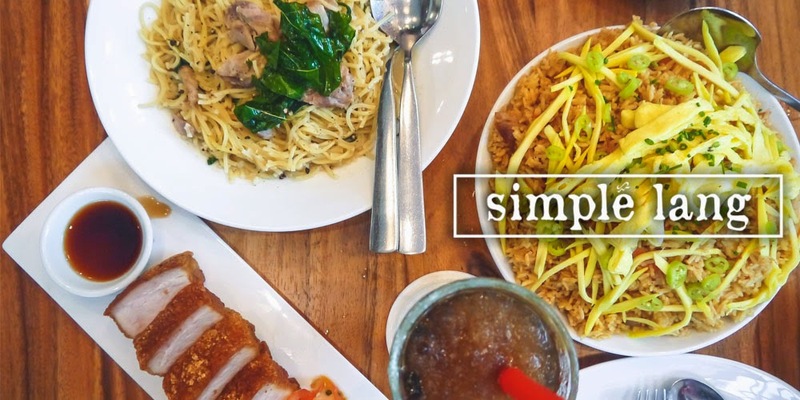 They have kept it simple and straightforward with several choices of mains—including their prided Batutay Longganisa—as well as some American selections (pancakes), an egg station, freshly-baked breads, and sweet fruits. 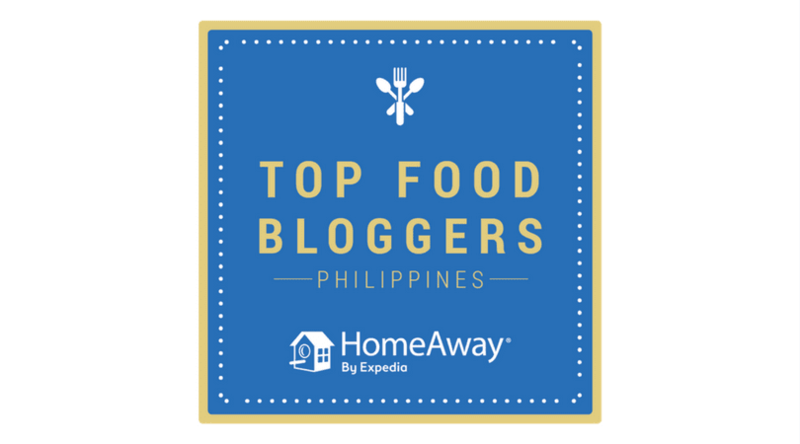 They also served taho when we visited, and on day 2, they had lomi in the buffet spread (one my favorite Pinoy merienda items). 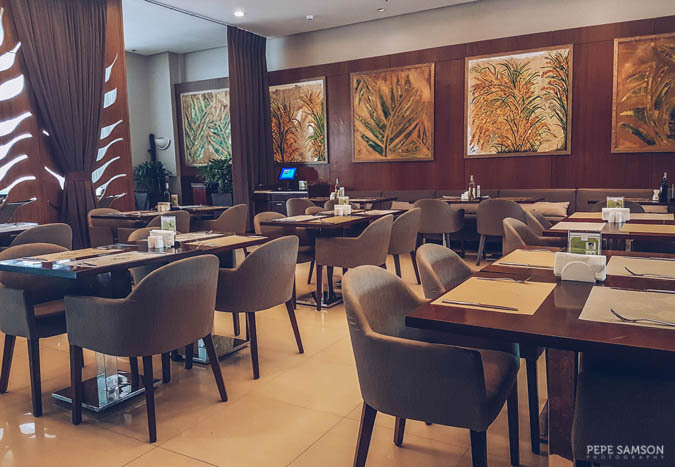 While enjoying my breakfast, I noticed how the dining staff never stopped looking around—watching out for diners who needed something, refilling coffee cups, offering more taho or fruits. 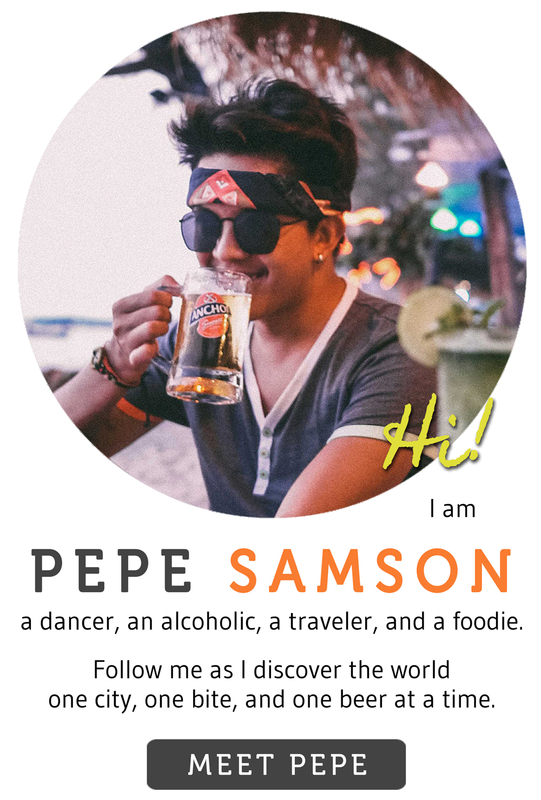 I couldn’t remember all of their names, but I did recall Edam (because I love queso de bola)! 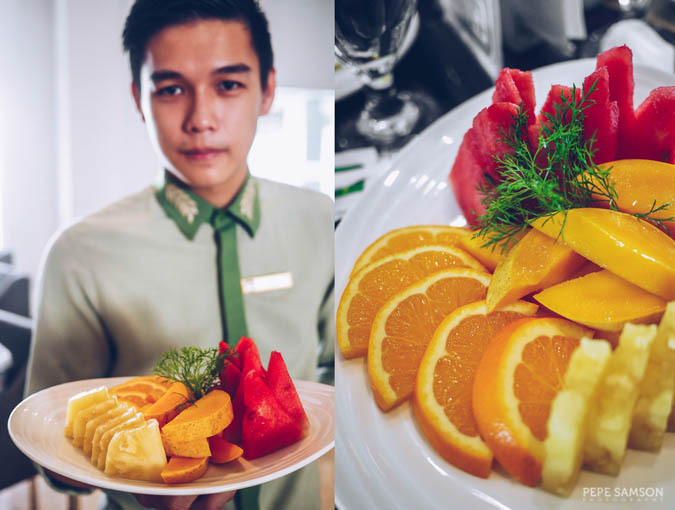 He expertly handled the breakfast crowd—even offered us a plate of sliced watermelon, oranges, and mangoes after our meal. We also had the pleasure of having dinner at Café Ecija and we sampled their delicious specialties. 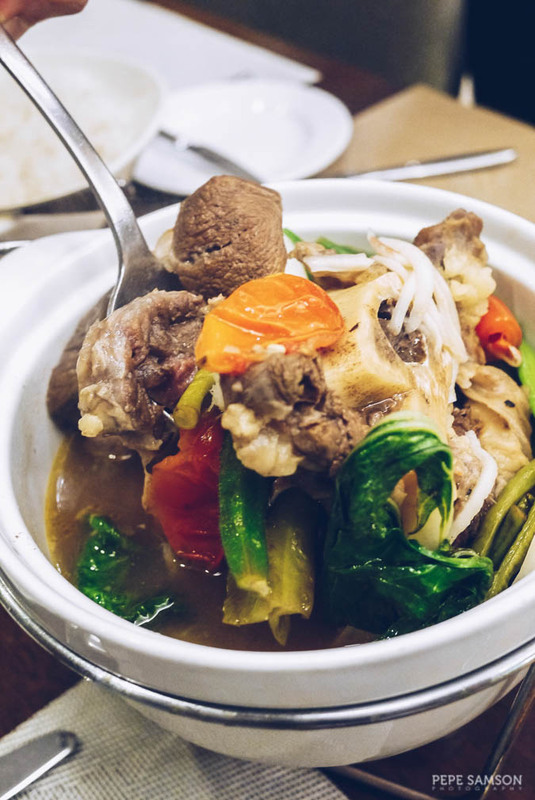 The Beef Buko Sinigang (PhP498) was a unique way of recreating the quintessential Pinoy ulam: using buko juice (coconut water) to provide the sourness and a hint of sweetness to the broth. A medley of vegetables is then thrown in, along with grated coconut, and generous portions of beef shanks. I absolutely enjoyed this! 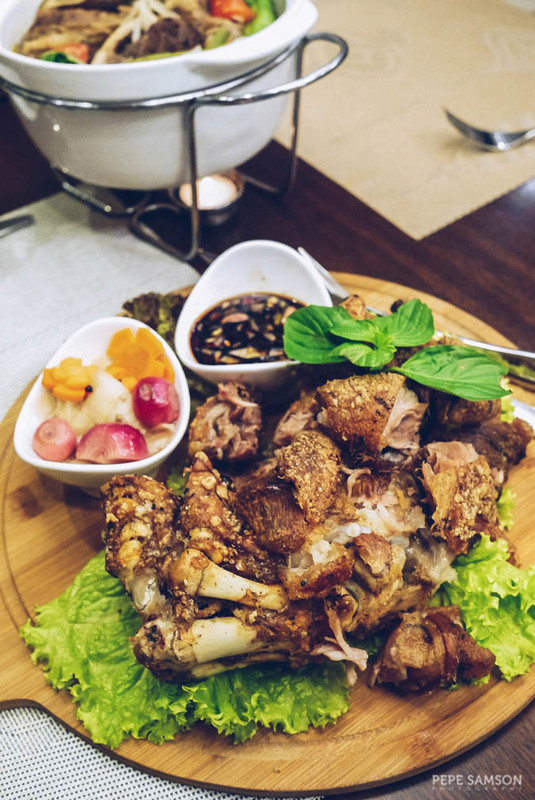 The Crispy Pata (PhP499) was not only a delight to look at (with its beautiful presentation) but also an immense joy to eat! 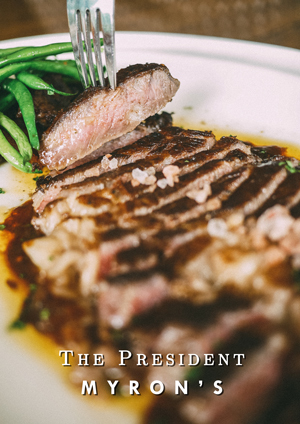 The skin was pleasantly crispy—unlike other renditions which are thick and tough—and the meat was so flavorful. I loved that they serve it with an especially made dipping sauce and a cup of pickles to cut through the fattiness. 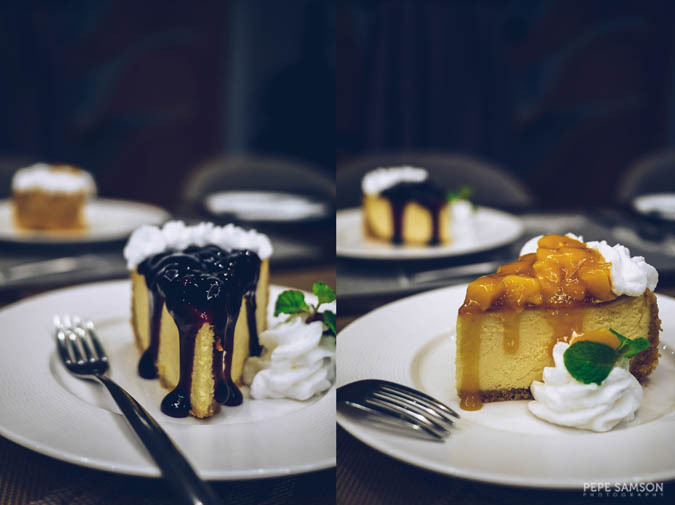 We finished with 2 varieties of cheesecakes, Mango and Blueberry (PhP198 each), and I loved the rich cream cheese layers. I would have preferred a slightly thicker crust though. 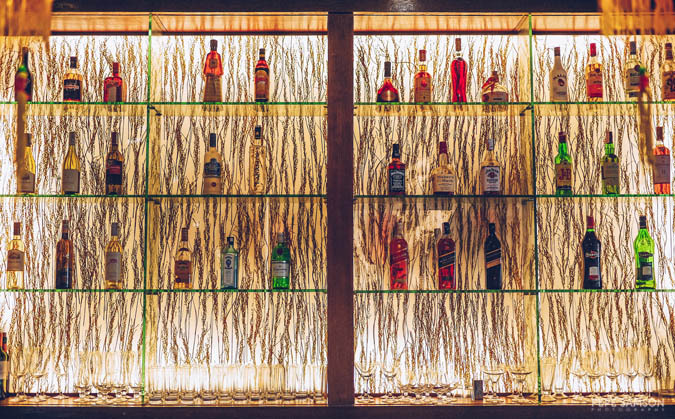 Adjoining the cafe is the bar with a good selection of liquors and spirits. 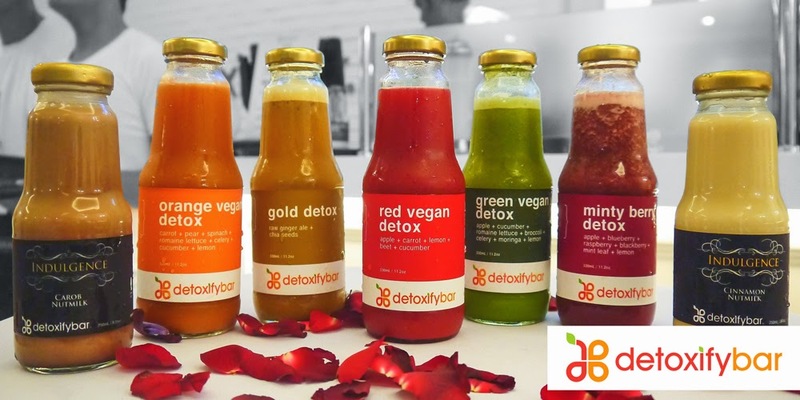 If you're not much of a hard drinker, worry not because they also serve beers and wines, as well as a whole range of non-alcoholic drinks like fresh fruit shakes, juices, and coffee. 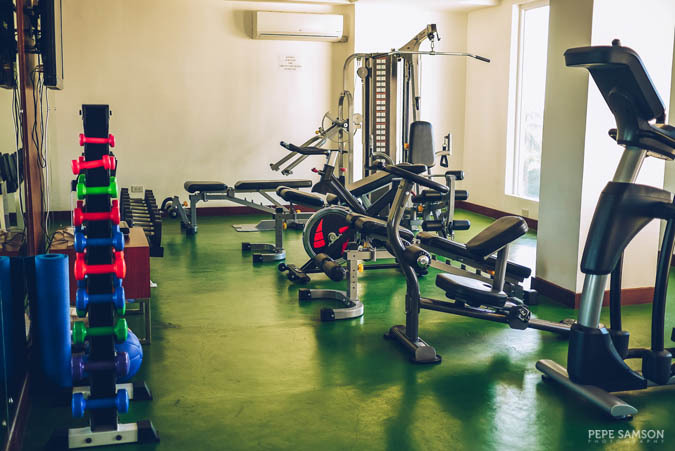 Access to the Gym is included when you book at The Harvest Hotel. The space is equipped with a good variety of exercise machines, and provides a view of the gardens below. 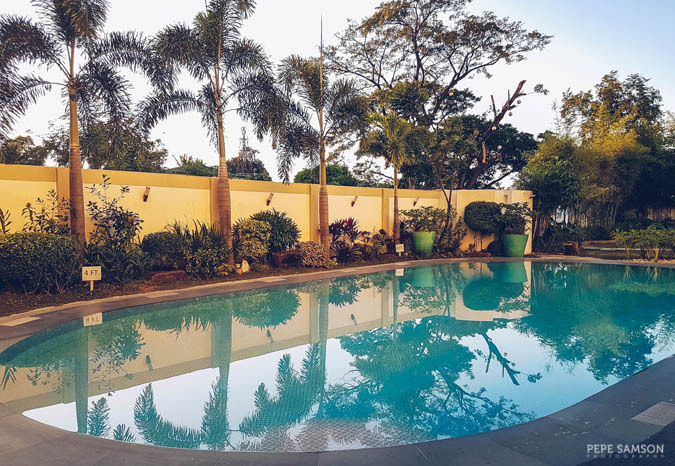 Guests can also enjoy the Swimming Pool located just off Café Ecija. 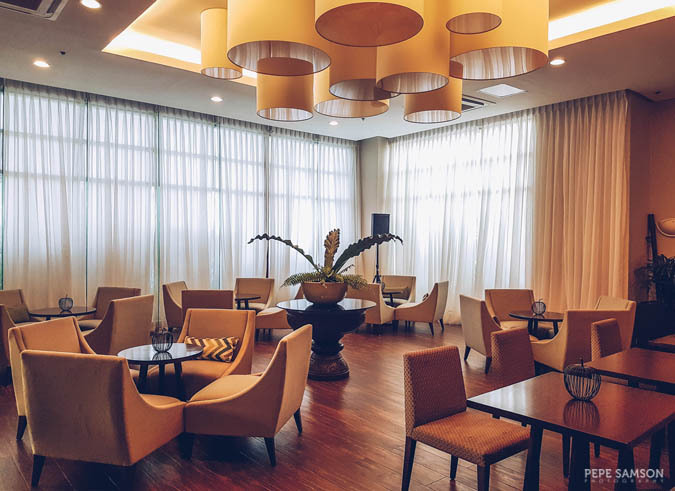 Soak up after a trip downtown or order a drink from the café and relax in one of the lounge chairs positioned around. I recommend hanging out in this area by sundown as the sun casts a golden light on the hotel walls. At night, the pool is dramatically lit. 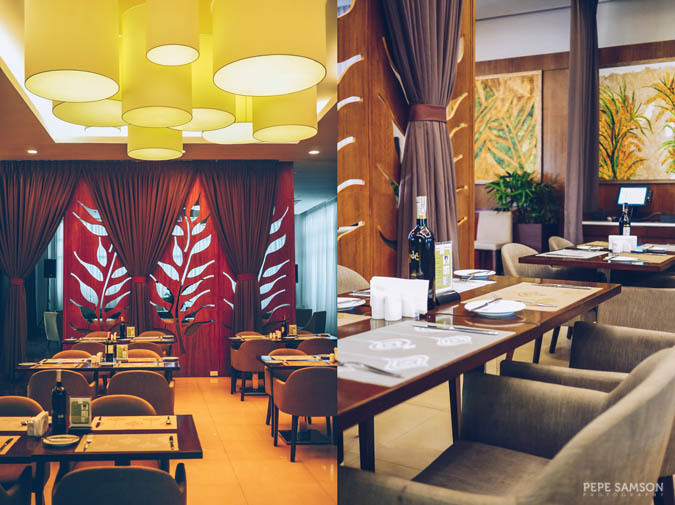 The hotel also has a ballroom that can divided into two smaller function rooms, a gift shop, and a bakery. 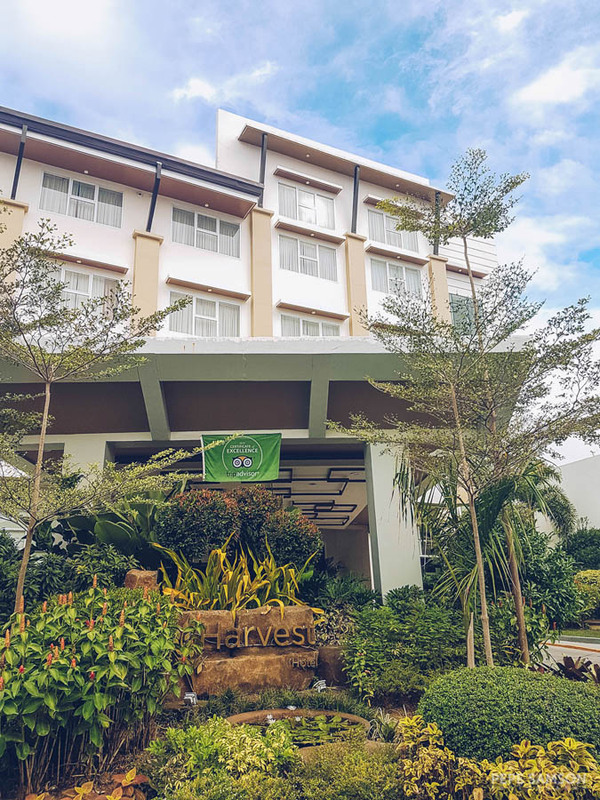 If you seek a peaceful rural escape with opportunities to enjoy the outdoors or just relax in the comforts of a hotel, The Harvest in Cabanatuan is well worth considering. 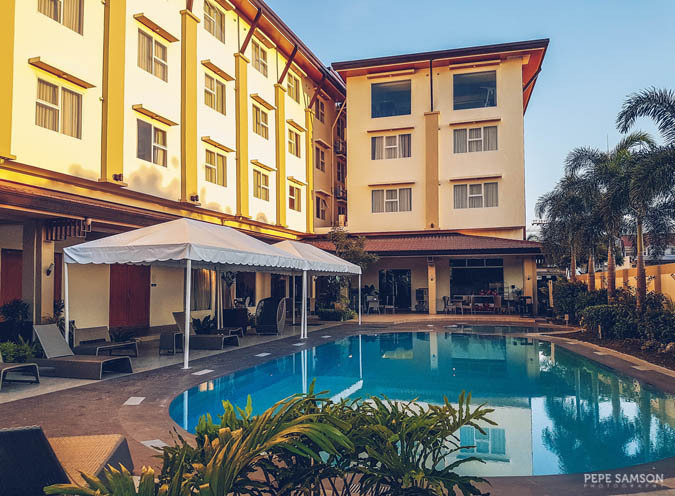 With its delectable offerings, comfortable rooms, amazing service, and proximity to commercial, transportation, and leisure landmarks of Nueva Ecija, this hotel is definitely a top accommodation choice. 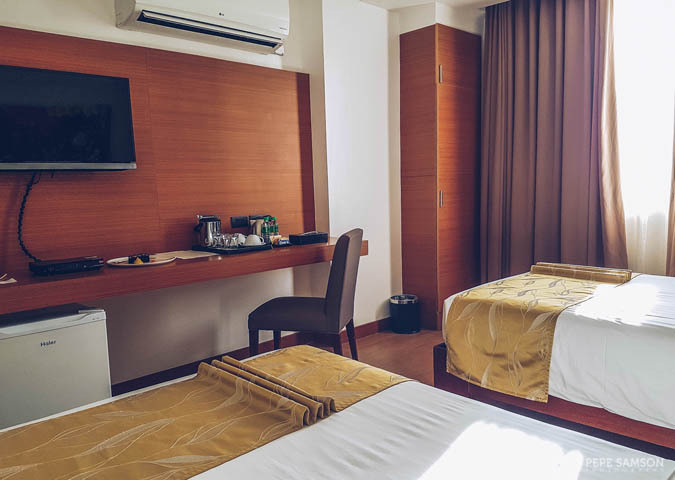 The hotel is well-maintained, with clean rooms and surroundings. Awesome staff, especially the ones from the restaurant! 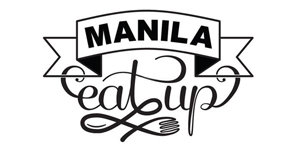 Delicious and creative Filipino dishes. 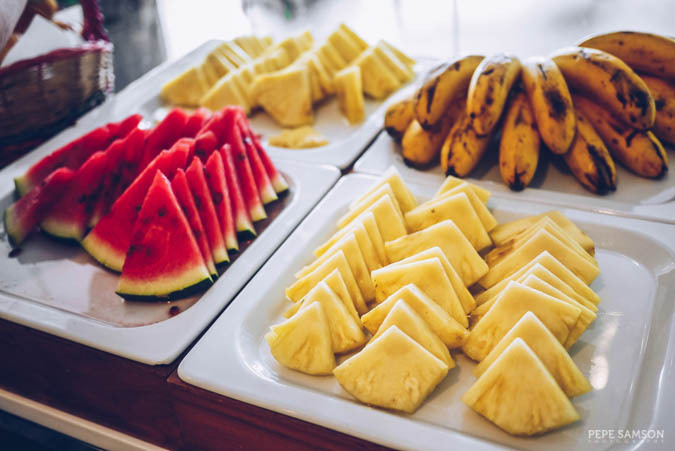 Limited but good breakfast buffet. 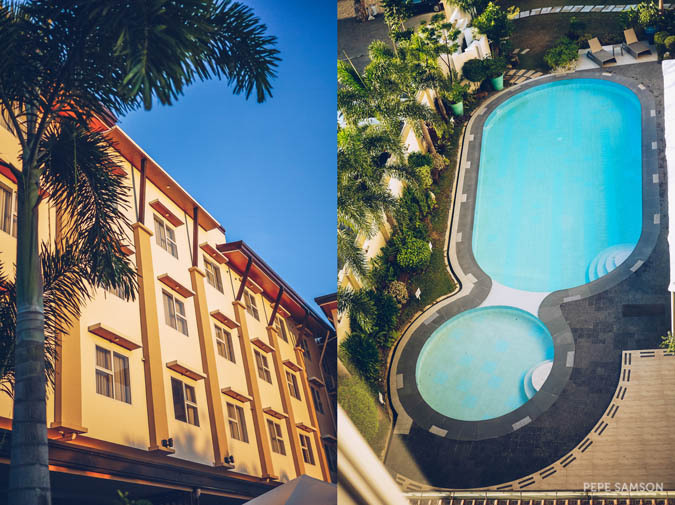 The rooms, and the hotel itself, are very relaxing and homey. Near shopping/dining areas and transport hubs. 1.5 hours from Minalungao. 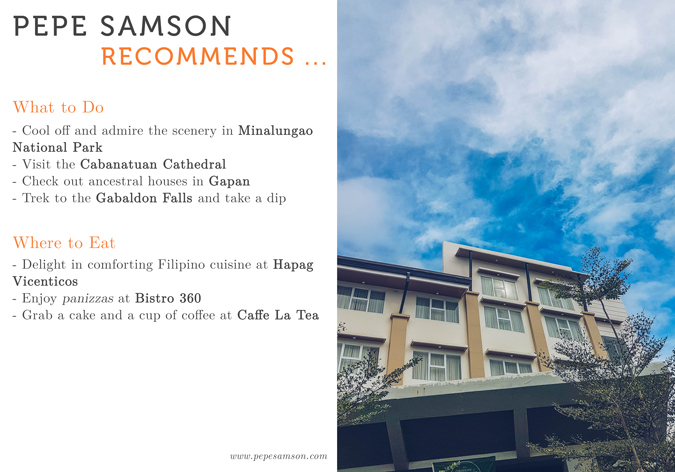 Definitely a recommended hotel choice for people visiting Nueva Ecija, whether for leisure or business. 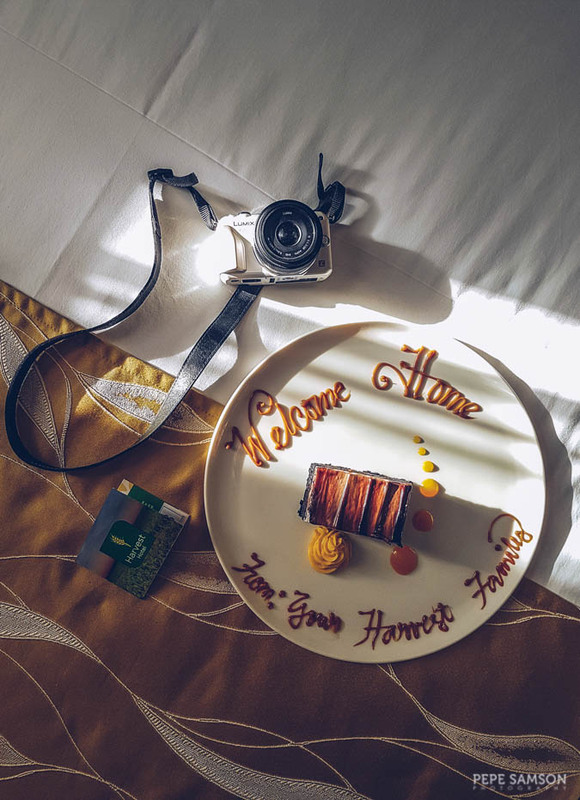 Have you stayed at The Harvest Hotel? How was your experience?